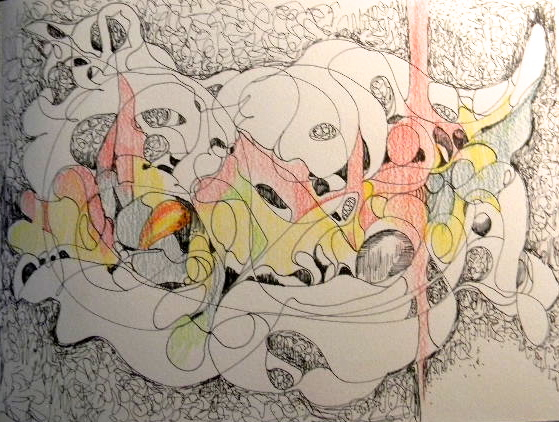 This abstract drawing was completed with a sense of whimsy. Art by Pineault always connects with a love of humor and surprise. This was an example of one of those times.